The craze for home solar energy systems continues. Amidst the constant news about large-scale utility battery projects and small-scale home battery innovation, everyone seems to want a battery backup. However, it is not as simple as it seems! There are a few challenges too. Many customers are misinformed about the usage and cost. Moreover, they are made to believe that batteries will solve their problem while it is a whole lot more than just batteries themselves that will be required to make them useful. Batteries sell solar and vice-versa. Let us have a more detailed look into the battery technology and how it resolves the electricity knock out issues. When it comes to the household energy usage, a majority of consumers believe batteries to be a substitute for fuel. You must know first how batteries work before taking a decision to install one. Well, unfortunately, they are not but can be closely equated to the fuel tank. They do store energy, and this needs to be refilled. Batteries don’t generate fuel but just store it. The fuel for these batteries can be sourced from various sources including solar energy, utility power and many more. However since these are sensitive materials in the batteries, fuel tank level in batteries needs to be constantly maintained. However, here is the catch. These rechargeable batteries get self-discharge. Thus, you would need to charge them even when they are not in active use. So, the sum and substance is that the batteries are only a fuel tank or storage vessel of energy which needs to be powered or refilled by an outside source. Did you ever feel that replacing batteries are costing you as much as the device itself? Well, that happens most of the time, and we totally understand how frustrating it is! Now imagine the same situation on a household scale. We are sure you must be able to see the multiplier effect! There are some solar companies that fool the customers with their marketing gimmicks. We have had some people approaching us with a nominal figure of $5,500 in their mind which they had either seen on a particular website or heard in the news. They don’t even realize that their ignorance has been the target of marketing efforts of such companies. What companies are advertising is not the only cost to install battery backup for their home, but in reality, a person would need several batteries to have an adequate amount of power for a useful amount of time. Yes, we aren’t joking! According to studies of one of our solar expert advisor in Florida, to store adequate energy for an average home to compensate power outage for a week (like what many people required after Hurricane Irma), you might even need as many as 21 such batteries! So, in such a case, it is not $5,500 but 21 times $5,500! Try to do a research on the solar market about solar panels installation costs and the lifespan of each panel. Another important aspect to note is that batteries don’t last forever. Lithium-ion batteries typically come with a 10-year warranty. At some point in future, you would need to replace them, making a huge expenditure. Some builders install small battery backup systems which die sooner. Later the owners, most often not the original owners, just don’t see the value and don’t want to spend. Have you ever wondered if batteries are self-sufficient in themselves? Well, let us tell you, they aren’t! They need a lot of other stuff too to be functional. Yes, this power fuel tank is useless without the wires and the equipment to distribute power as per the requirement. It even needs an engine, here inverter, for converting the DC power to AC power that we all use in our homes. There are some sellers who actually integrate the inverter in the battery. What they end up selling is a single system that has all in one concept of battery, inverter, charger, everything. The end result is a single elegant cabinet. Though the concept is not that new, the elegance with which it is available today often lures the consumers. However, even that involves cost and is somewhat complex. In reality, it’s not only the battery, but the supporting hardware and installation cost too. Moreover, what is generally ignored is the cost of required “electrical upgrades,” and let us tell you that it is not that inexpensive! 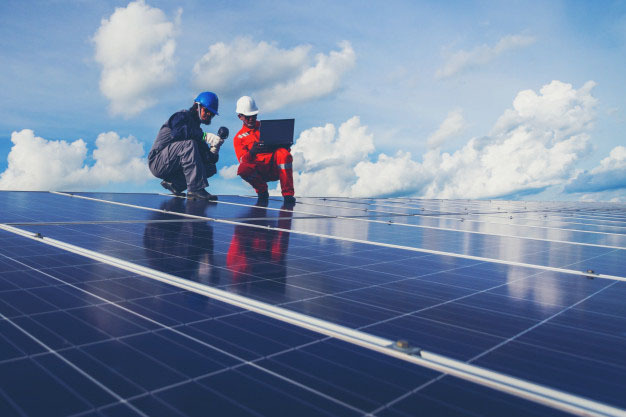 You also must ensure that you are expert regarding solar net metering specially if it is connected to a solar off-grid system. A classic example can be a separate circuit breaker to house the circuits, etc. In some states and utilities, consumers are charged on the basis of Time Of Use (TOU). At certain times of the day, purchasing energy costs you more. This is where batteries help you. They take out this peak load and lead to an overall lower blended cost for energy. This, however, is not to be misunderstood with solar power directly. It’s just about storing energy when it’s cheap and discharging it when it’s expensive. Some people come with an argument that fuel delivery becomes difficult after a storm. Well, there is still a solution to this – having a big fuel tank. All you need is to have enough battery capacity to get you through such times. Thus, when we talk about the backup solution, it becomes crucial to separate energy storage from power generation. Have you ever wondered if batteries are self-sufficient in themselves? Well, let us tell you, they aren’t! They need a lot of other stuff too to be functional. Yes, this power fuel tank is useless without the wires and the equipment to distribute power as per the requirement. It even needs an engine, here inverter, for converting the DC power to AC power that we all use in our homes. There are some sellers who actually integrate the inverter in the battery. What they end up selling is a single system that has all in one concept of battery, inverter, charger, everything. The end result is a single elegant cabinet. Though the concept is not that new, the elegance with which it is available today often lures the consumers. However, even that involves cost and is somewhat complex. In reality, it’s not only the battery, but the supporting hardware and installation cost too. Moreover, what is generally ignored is the cost of required “electrical upgrades,” and let us tell you that it is not that inexpensive! A classic example can be a separate circuit breaker to house the circuits, etc. 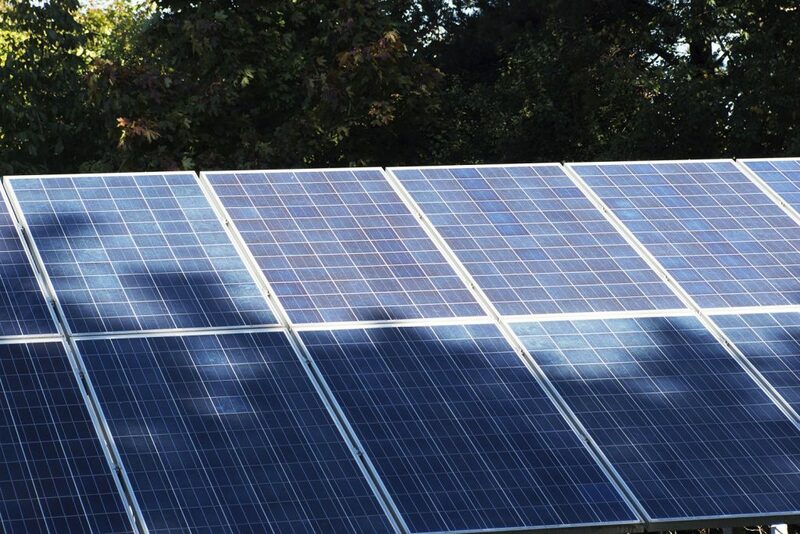 Talking with a solar expert in Florida can help you use the full power of your solar batteries. To start with, batteries come with various advantages in a way that they are clean, quiet, elegant solutions for your solar energy storage requirements. With the evolution of technology, the batteries are fulfilling the energy requirement by decreasing the cost of energy and increasing the energy density. However, like everything, they do have a negative aspect too. Batteries are quite expensive, and it is not just one battery that will cover the whole home backup needs. You would need a lot of them to cover your whole home backup needs. Solar Battery Installers for the Sunshine State!